I was recently invited to dine at Ghazal. Ghazal is a restaurant located in Melrose Arch serving North Indian cuisine. I’m a fan of Indian food so I was really looking forward to visiting. We arrived on Ghazal on a Saturday night. 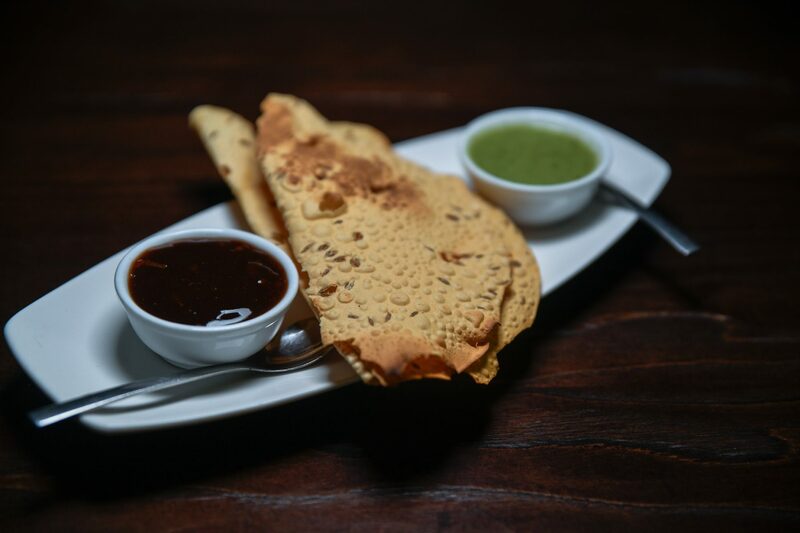 The restaurant has a sophisticated and elegant feel to it, definitely a much more upmarket restaurant when it comes to Indian food in South Africa. We were seated at a table adjacent to a gorgeous glass wine display and what a great wine selection Ghazal has. I started with a glass of Beyerskloof Pinotage – the perfect way to warm up on a cool autumn evening. 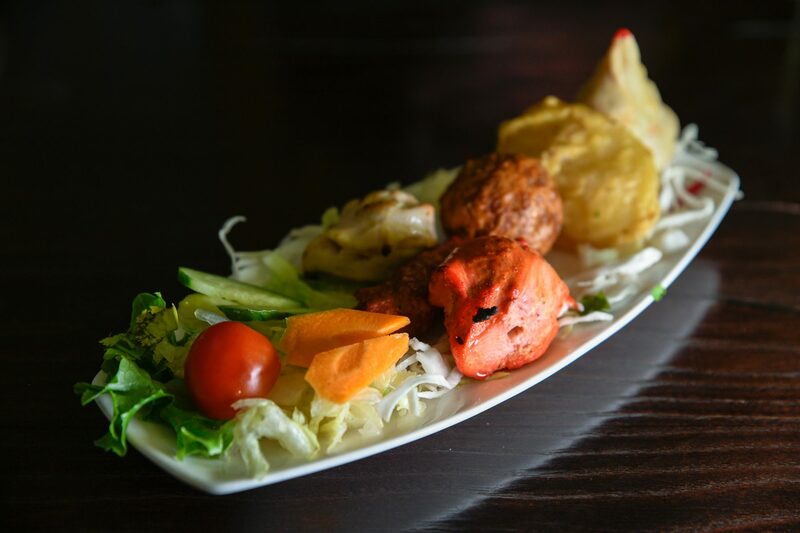 This was followed by the mixed platter starter comprising onion pakoda, chicken tikka and a lamb samoosa. The chicken was perfectly cooked, still tender and juicy. 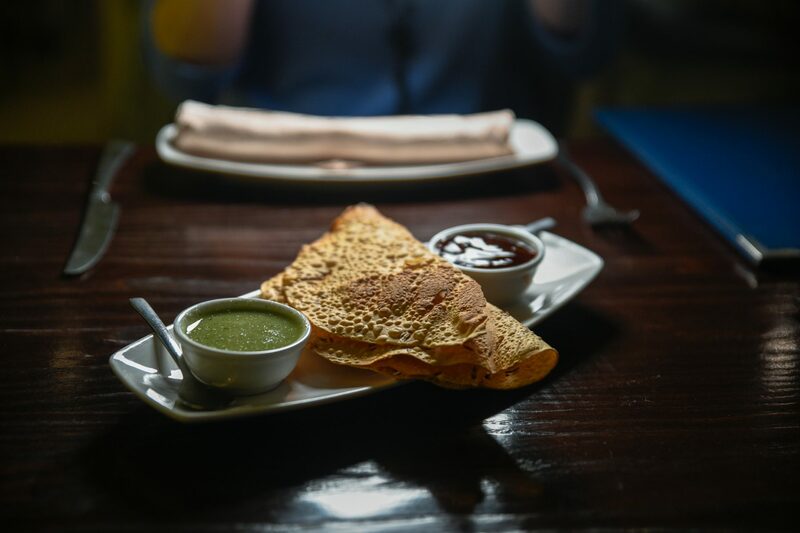 Loved the flavours and spices of the lamb samoosa. For my main meal, I had the chicken madras. 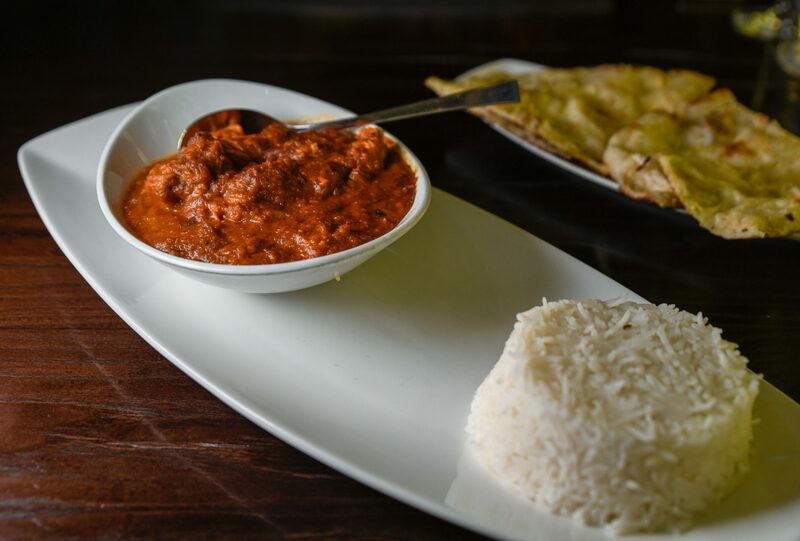 After tasting the beautifully cooked chicken tikka starter, it was an easy choice between lamb and chicken for my madras curry. I had this with rice and garlic naan bread. My madras was superb – rich in flavour, spicy and delicious. I was really impressed with the quality of the chicken in my curry. I love a good chicken madras, however I often find that most Indian restaurants tend to use poorer quality chicken and it tends to be over cooked. I was so glad that this was not the case at Ghazal. 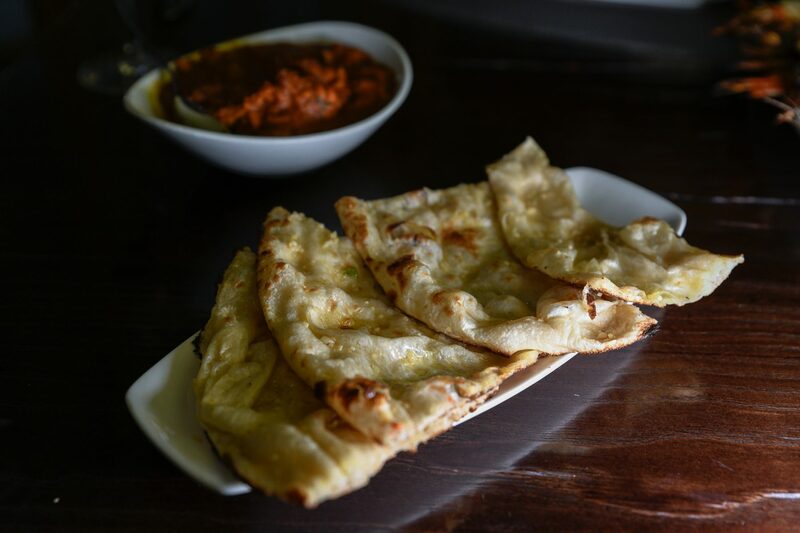 The naan bread too was delicious. 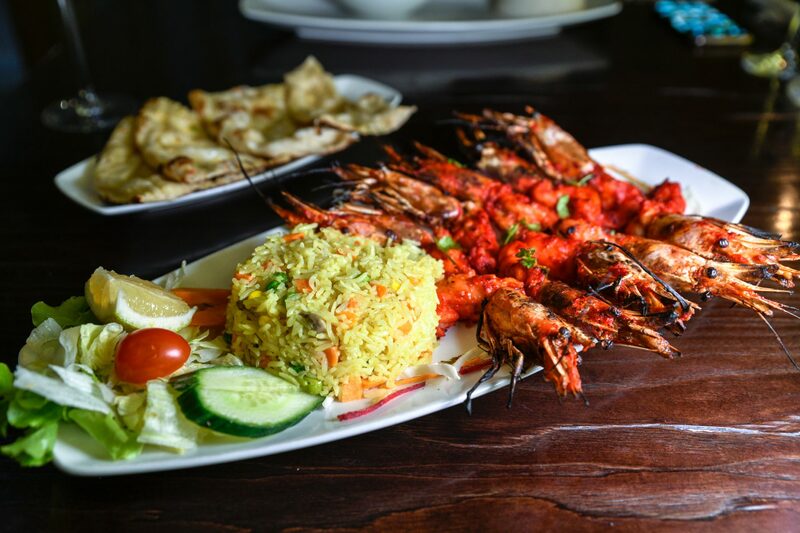 My benedict selected the prawn masala; queen prawns cooked in a blend of spices served with a side of yellow rice. I stole a prawn or two and these too were delicious. The service at Ghazal was good. The restaurant is well located in the vibey area of Melrose Arch and the restaurant has a lovely layout. I thoroughly enjoyed my meal at Ghazal and look forward to visiting again soon for some great Indian cuisine.